Hi there, my darlings! Today, I FINALLY get to review for you 4 gorgeous beauties from Painted Polish. Now, Lexi sent me these four GORGEOUS microglitters ages ago, even before I left for India. But I wanted to do a giveaway with her at some point so I had to tuck these babies away and bide my time. But! The time to show them off has finally arrived as we decided to host a giveaway to celebrate my birthday! What could be better than sparkles and holo on your birthday?! YAY! Before we get to swatches, let's take a quick minute to discuss formula and application--all four microglitter polishes were a total breeze to apply--they went on smoothly and evenly. The first coat of each was definitely sheer but they level out quite nicely in 2 generous coats--I used 3 coats for greater depth, topped with 1 generous coat of G&G's HK Girl to finish the look. 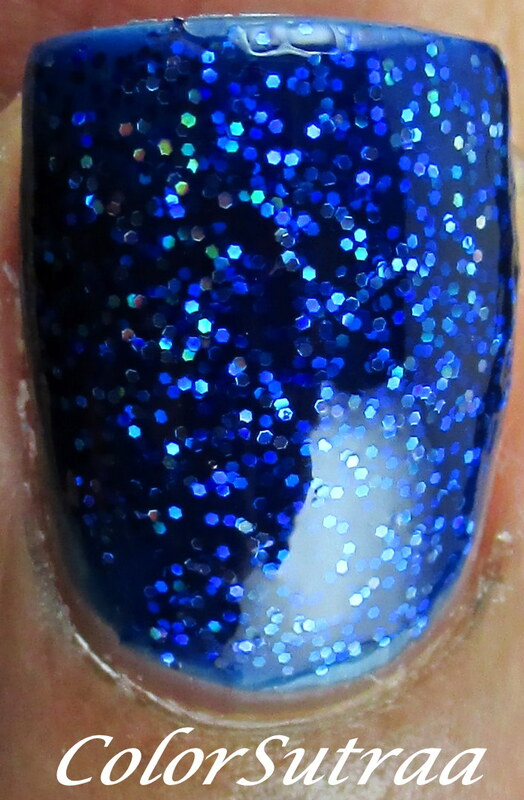 Buzzed on blue is a rich, deep blue jelly polish filled with blue holographic microglitter. I absolutely loved this one--so vibrant and gorgeous! 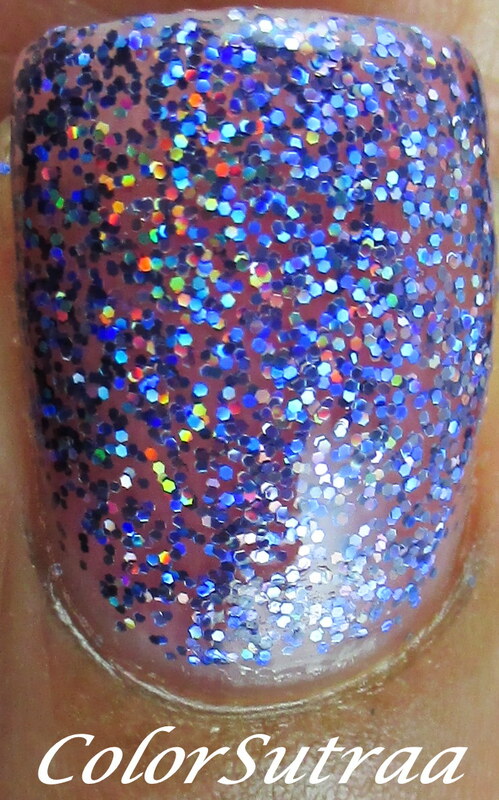 Drunk On Holo is a clear jelly polish chock-full of silver holographic microglitter. I foresee much nail art in my future with this particular polish! High On Holo is a bright gold jelly polish filled with golden holographic microglitter. Now, I can't wear every gold but this is a gold that works with my complexion! Don't you think?! Holo Wasted is a purple jelly polish filled with purple holographic microglitter. 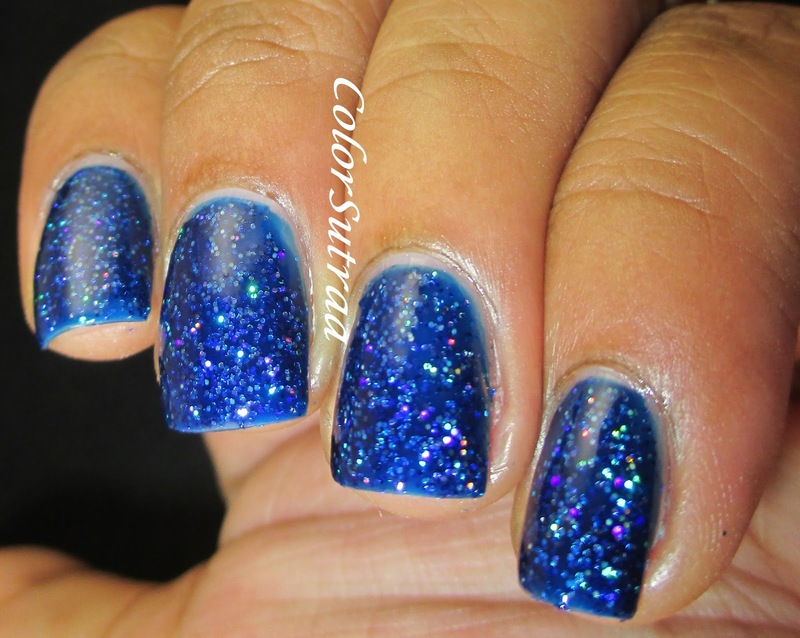 This one was slightly sheerer than its sisters so I used 4 coats for full opacity but don't let that deter you! Holo Wasted is breathtaking under ANY light and is definitely my favorite! Which of these are YOUR favorite? I'd love to hear your opinions in the comments section below! But wait, don't forget to enter our current giveaway HERE for your chance to win the ENTIRE set shown above! Good luck, my darlings! Holo on Holo is stunning! I'm so happy I found your blog, I have the hardest time finding indie swatches on warmer skin tones!